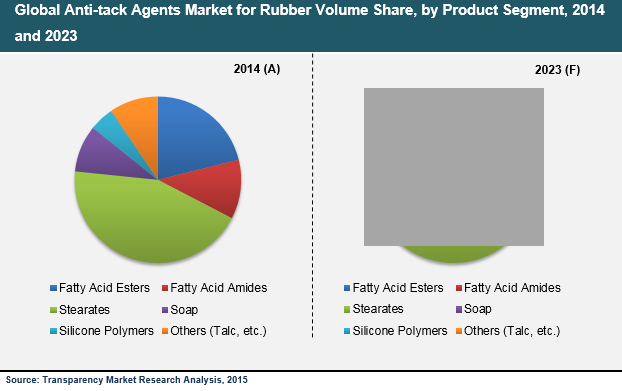 Leading market analysis and intelligence firm Transparency Market Research has published a new market study, detailing the global anti-tack agents market. The report, titled ‘Anti-Tack Agents Market - Global Industry Analysis, Size, Share, Growth, Trends and Forecast 2015 - 2023’, projects the global anti-tack agents market to expand at a significant CAGR over the forthcoming eight years. The market’s value at the end of the given forecast period is expected to be close to US$438 mn. In 2014, the market was valued at US$306.5 mn and will exhibit a 4.1% CAGR from 2015 through 2013.